Exploring the famous city of Yogyakarta for a variety of unique destinations and charming white sand beaches. 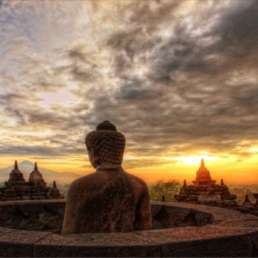 We will pick you up and start the journey to Borobudur temple to enjoy the beauty of the largest Buddhist temple in Asia with stories of Buddhist travel beautifully carved on the walls of the temple. Next go to Ketep Pass and see the magnificent Mount Merapi and Mount Merbabu up close. Travel back to Yogyakarta and stop for lunch at a local restaurant. 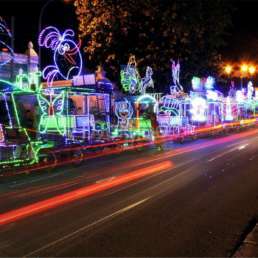 After that we will go to South Square to enjoy a typical Yogyakarta night tour and drive around with decorative bicycles with interesting lamp trinkets. Dinner and return to the hotel. Check in - free program. 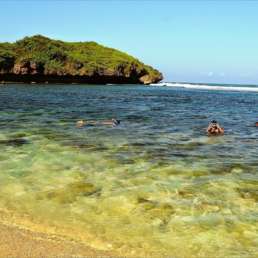 After breakfast at the hotel, we will visit Embung Nglangeran located in the area Ancient Volcano proceed to Sadranan beach to enjoy the beauty of the beach, snorkeling and lunch. 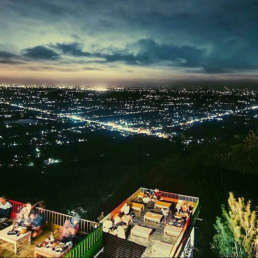 Travel back to Yogyakarta and pause at Bukit Bintang to see the beauty of the city of Yogyakarta at night from a height. Enjoy dinner at a local restaurant. Go to hotel - free program. 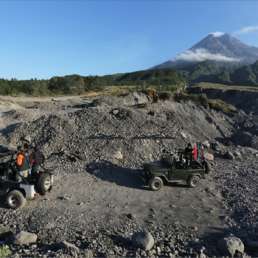 After breakfast at the hotel we begin the journey to Kaliadem for tours Merapi Lava Tour and drive around using jeeps to explore settlements on the slopes of Merapi. Take a lunch break at a local restaurant before visiting Prambanan temple. The next trip is headed Malioboro street for shopping tours. Dinner and return to hotel - free program. After breakfast at the hotel, then check out and start the journey to Yogyakarta palace which is the residence of Sri Sultan Hamengkubuwono and his family. 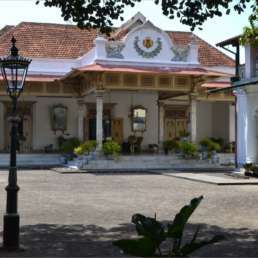 Apart from presenting interesting Javanese architects, we can also learn more about Javanese culture in museum that is in the palace. 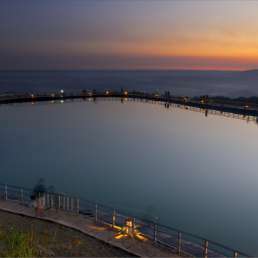 Next to Taman Sari which is a water park belonging to the Yogyakarta Palace. The last destination is to go to the center souvenirs typical of Yogyakarta. Lunch at a local restaurant. Tour completed - transfer out. To order this tour package, you can fill in the order form or contact us through the contact available. Prices above are adjusted for regular travelers. If you prefer convenience, please choose some of the additional services we offer. After a day of spending time on a tour and exploring a good night's sleep is important. Our tours are priced according to 2-star hotel standards, but for those of you who appreciate more comfort during their trip, we offer improvements. Because we have direct access to the flight reservation system, we can find the lowest possible prices for domestic and international flight tickets. Your tour package can include video documentation and photography for your trip. We even use drones so that your experience looks great in videos! Free videos for groups of 20+ people. Dress well on the go - order t-shirts for your tourist group. Occasionally print with a great design. Different colors available. Available for groups of 10+ people. Do you like food? Let us take you to the best local and international restaurants during your trip. Standard itinerary includes food, as indicated by B / L / D (Breakfast / Lunch / Dinner). This upgrade will make your culinary experience unforgettable like the tourist attractions you will visit. Please use this form to order / request a tour or send it as a question. 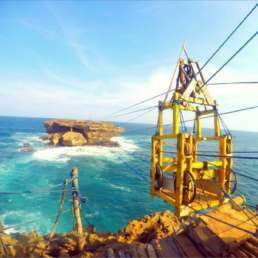 Please give us as much information as you can (especially if you intend to make modifications to the intinerary), so we can prepare a tour that is fully customized for you. 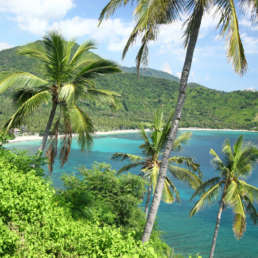 Enjoying the beautiful natural scenery from the Kalibiru hill and then visiting many interesting places and snorkeling at Sadranan Panai. Nature tourism combined with historical tourism - visit Sri Gethuk Waterfall, Sultan Palace and majestic Buddhist and Hindu temples in Yogyakarta area.